Also known as an enhanced life estate deed or a ladybird deed, a Lady Bird Deed is a way to transfer property to someone else outside of probate, and it allows the original owner to retain control of the property and pass it to exactly who her or she wants to after death. Basically the original owner (grantor) signs a deed stating when he or she dies the person who the property is deeded to (grantee) will automatically receive the property. In the meantime, the grantor has all right over the property including the ability to sell if he or she wants to. Further, because you retain the rights to your property during your lifetime, the deed is simply disregarded for Medicaid purposes. This means that a transfer of Lady Bird Deed will not negatively affect your Medicaid eligibility. Avoiding probate since the transfer of property can happen outside of probate. Better control by the property owner who is allowed to, for example, sell or gift the property at will. Since Lady Bird Deeds are not considered a transfer of property and the property owner retains the right to use the property, the Lady Bird Deed typically does not affect qualification for Medicaid benefits. There are several tax benefits to a Lady Bird Deed, including the avoidance of filing a gift tax on the property transfer. Many of the advantages of a transferring property under a living trust are similar to those achieved with a Lady Bird Deed. The advantage of the latter is that establishing a Lady Bird Deed is much less costly than creating a living trust. In the state of Florida, it is also important to know that homestead or primary residence is exempt from creditors’ claims. Not only does a Lady Bird Deed protect this aspect of Homestead property and retain the homestead exemption, it can also potentially protect the property from a divorce settlement in certain cases. As the property remains Homestead it also retains the Homestead exemption for property tax as long as it is drafted appropriately. While a Lady Bird Deed should not be a replacement for a full estate plan, it is a good place to start and it often belongs as part of an estate plan unless your only heir is your spouse in which case Homestead passes directly to him or her in the event of death without the need for probate. Without this type of deed even a Homestead property will need a Judge to sign off on the transfer in a probate proceeding unless it is passing to your spouse who is still alive. How was the Lady Bird Deed named? You might be wondering how the Lady Bird Deed got its name. When the deed was created in Florida in the 1980s, the creator used President Lyndon Johnson’s family names in the example of how the deed works. President Johnson’s wife’s name was Lady Bird and from that example, the deed was named. The probate and estate planning team at The Orlando Law Group has this and many other strategies at its disposal to protect you and your family assets. 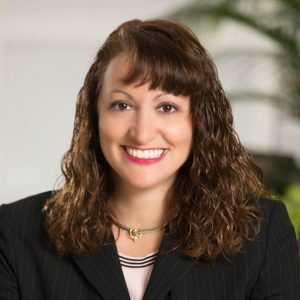 Jennifer Englert is the managing partner and founder of The Orlando Law Group, PL. For over 15 years, she has focused on business disputes, business law, general civil litigation, special needs & education law, family law, personal injury, and real estate. She has represented entities and individuals in both federal and state trial and appellate courts. Founded in 2009, The Orlando Law Group, has been named one of the fastest-growing law firms in Central Florida and through America [ranked No. 105 among the top 500 fastest-growing law firms in the United States, per the 2017 Law Firm 500]. It has earned a reputation as the Orlando-area law firm that cares about its clients and the communities it serves. Offices located throughout Orange and Seminole counties. To contact Englert, or for more information about The Orlando Law Group, please visit www.TheOrlandoLawGroup.com or phone 407-512-4394.